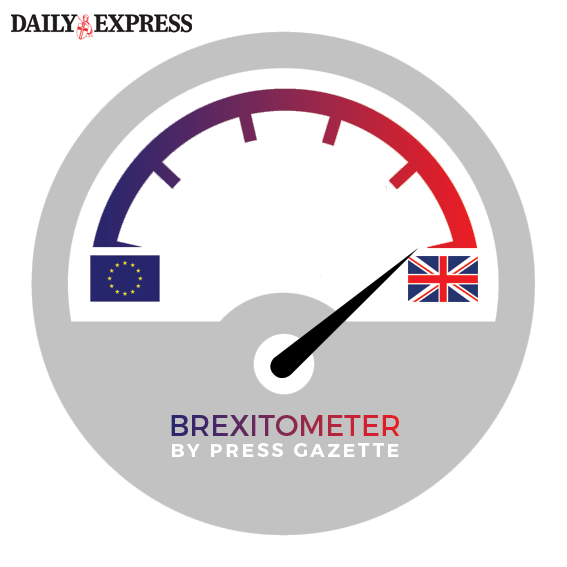 The UK’s most-read national newspaper titles have shown a strong bias favouring Brexit, Press Gazette analysis of the final month of campaigning shows. 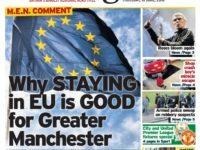 Press Gazette has looked at UK national newspaper front pages published since 23 May and taken a view on whether they contained a story which favoured Remain, Leave or neither. 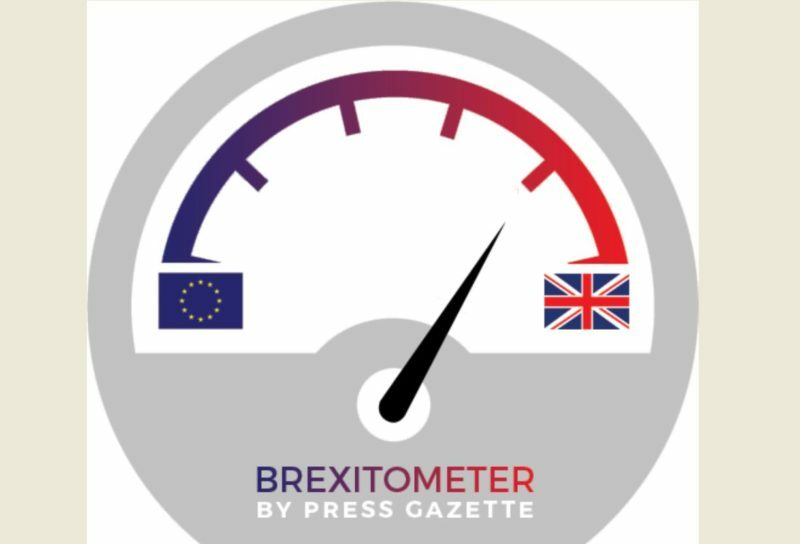 We then weighted each title according to its circulation and today launched our Brexitometer tracker of national press front pages. The above chart shows the total circulation of titles with front-page stories favouring Leave versus the total circulation of those with front pages favouring Remain on each day since 23 May. When those daily totals were added up we found 46 per cent of front page coverage favoured either the Leave or Remain sides of the argument. Some 36 per cent favoured Leave versus 10 per cent which was judged to favour Remain. Some 54 per cent either didn’t mention the EU referendum or provided coverage of it which did not particularly favour either side. If we just take the 46 per cent of national press front-page coverage which we judged to favour either Leave or Remain, the apparent bias is even more stark. Some 74 per cent favoured Leave versus 24 per cent Remain (when the figures are weighted to reflect circulation). Yesterday was one of five days over the last 25 in which pro-Remain front pages have outweighed pro Leave front pages – as Chancellor George Osborne warned of a possible pro-Brexit emergency budget to cover a £30bn financial shortfall. But today (16 June), front page stories in half the national newspaper market favoured Leave, with no front-page stories clearly favouring Remain. That gives us today’s national press Brexitometer reading with the needle half way into the Leave side of the dial. 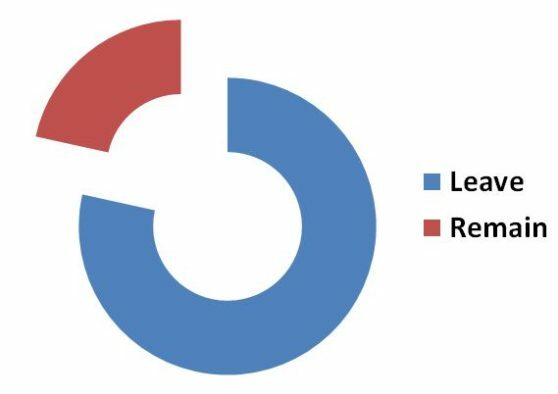 This mirrors the overall Brexitometer score for national press front-page coverage throughout the last month of the EU referendum campaign so far (since 23 May). 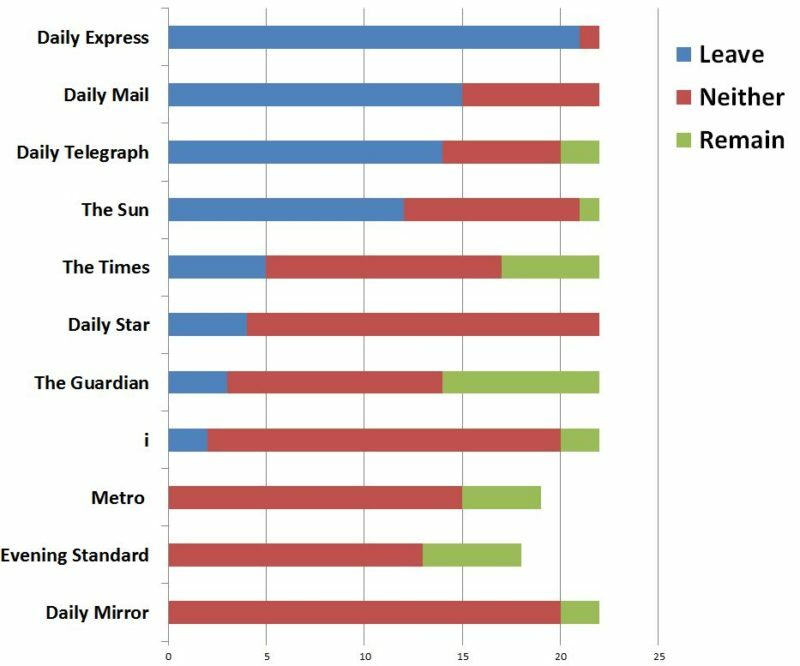 The UK’s top selling daily newspapers, the Daily Mail and The Sun, have both been strongly biased in favour of Leave in terms of their front page stories. Some 15 out of the last 22 Daily Mail front pages have favoured the Leave campaign, with none favouring Remain. And 12 Sun front pages have carried stories favouring Leave versus one which favoured Remain. The most slavishly pro Leave newspaper is the Daily Express. Some 21 out of the last 22 front pages have carried stories which favoured Leaving the EU. At the quality end of the market, the Daily Telegraph has published 14 pro Leave front pages versus two which favoured Remain. 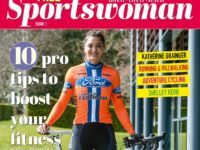 The Daily Mail, Express, Sun and Daily Telegraph have a combined total average circulation of 3,263,751 according to ABC. The Guardian, Daily Mirror, Metro and Evening Standard have all published more front pages which favour the Remain side of the argument. But they have all been less strident in their editorial coverage than the pro-Brexit titles. The Times and the i have been the most even-handed in their coverage, with an equal number of front page stories which favour Remain as Favour Brexit. The below graph lists the UK daily newspapers we have tracked since 23 May and counts the number of front pages which contained stories judged to favour Leave, Remain or neither. The apparent strong national press bias in favour of Brexit seems to be at odds with the mood of the nation. 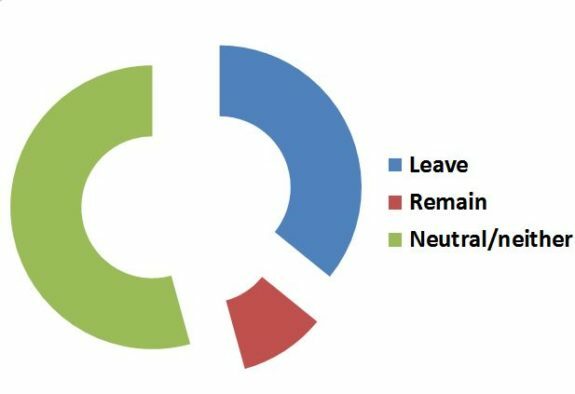 Opinion polls suggest voters are evenly split between Remain and Leave ahead of the referendum on 23 June. Press Gazette looked at the following newspaper titles (including sister Sunday titles where applicable): The Express, Mail, Telegraph, Sun, Times, Star, i, Guardian, Mirror, Metro and Evening Standard and Metro. Overall, Press Gazette’s Brexitometer survey shows a strong bias in UK national press news coverage against remaining in the EU. To a certain extent, front pages merely reflect what is going in the world and can’t be said to be a symptom of bias. The Guardian front-page from today, for instance, was judged to be a story which slightly favours Leave – even though the paper generally leans towards Remain. But looking at the extent to which the Telegraph, Mail, Express and Sun in particular have chosen front-page stories which favour Leave – it seems fair to say that they have been heavily biased in their coverage. The fact that coverage in The Times is evenly split between front page stories favouring Remain and stories favouring Leave shows it has been possible to cover the referendum campaign without skewing one way or the other.